You may already know that if you’re charged with a crime, the police officer will advise you of your Miranda rights, place you in handcuffs, and take you to the precinct. However, what you can expect to happen after this may be less clear. The most important thing to remember about being arrested is that it’s imperative to contact a criminal law office near Waldorf, MD as soon as possible. Your criminal defense attorney can answer any questions you may have. Immediately after being arrested, police officers will bring you to the precinct for processing. An officer will request information such as your full name, address, Social Security number, and date of birth. You will be fingerprinted and photographed. A police officer will conduct a search and take your personal property, such as your jewelry, medications, and keys. You will receive a voucher for this personal property so you can claim it upon your release. In Maryland, individuals placed under arrest are brought before a District Court commissioner. The primary purpose of this meeting is to allow the commissioner to assess whether sufficient probable cause exists for you to be charged with one or more crimes. Additionally, the commissioner will make sure you understand the charges, the potential penalties, and your legal rights, including your right to be represented by a criminal defense attorney. The commissioner may then inform you of your responsibilities regarding the retention of the services of an attorney at law. The commissioner also determines whether you will be remanded to jail or released while the outcome of your case is being decided. If you are to be released, the commissioner decides whether to set bail. When the commissioner advises you that you have the right to contact a criminal lawyer, you should inform him or her that you do wish to retain the services of a lawyer immediately. Your meetings with your criminal attorney are kept confidential. 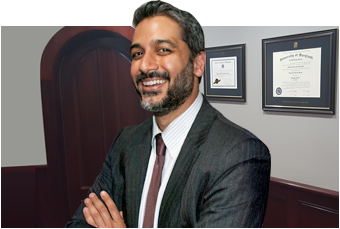 Your lawyer will become familiar with your case, the charges against you, and any evidence against you. He or she will prepare you for your upcoming court appearances, such as your hearings and trial.